Geek Offices is Proud to Co-sponsor Inman Eats! 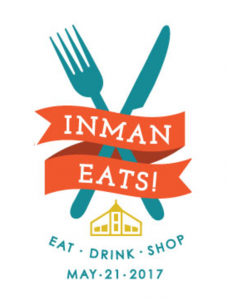 Geek Offices is proud to be a co-sponsor of Inman Eats!, a celebration of everything Inman Square. The festival will celebrate everything in our neighborhood from eclectic retail and artistic venues to casual eats and culinary treats. The East Cambridge Business Association event will take place on Sunday May 21, 2017, noon – 4:00pm on Cambridge Street in Inman Square, between Springfield Street and Prospect Street. Inman Eats! is open to all that want to experience Inman’s many delights. Come listen to local bands, sample some local beer, and enjoy tasty food from the best restaurants in town! For more info, including a growing list of vendors, click here. Inman Eats! is sponsored by the Cambridge Savings Bank, Alexandria Real Estate Equities, Commonwealth Alternative Care, Cambridgeside Galleria, Geek Offices, and WT Rich Co.
Are you part of a startup or non-profit looking for flexible coworking space in the Cambridge-Boston area? If so, check out our coworking space and private offices in the Inman Square neighborhood of Cambridge. Groups and companies looking for shared coworking space in Cambridge and greater Boston will find that Geek Offices provides some of the most affordable coworking space in the region. Geek Offices is a coworking space offering all the amenities of a professional, furnished office, with none of the overhead. Compare Geek Offices to the prices of other startup and incubator or coworking spaces in Boston and Cambridge and you’ll be pleasantly surprised by the value our coworking space offers.